While it may be true that you shouldn't judge a book, or in this case, a gift, by it's cover, but that shouldn't stop you from making your gifts look gorgeous on the outside. As of the past few years, I've been finding myself enjoying pretty packaging more and more. Christmas is a time when I have so many opportunities to dress up my gifts in fancy packaging. Here are a few ideas for ways to beautify your gifts for your friends and family and hopefully you'll find some inspiration in this. While plain brown wrapping paper can be nice if you add a bit of decor, like rosemary and berries, I didn't have any of those on hand. Instead, I decked out this present with some red ribbon and used a silver sharpie to make the wrapping paper seem a lot more interesting than it really is. I wanted it to have a bit of a doodle or sketch-like look, so I just took my silver sharpie and did some doodles of things that relate to the holidays, such as a snowman, a christmas tree, stockings, a santa hat, and ornaments. To fill up the empty spaces, I would just add little stars or candy canes. 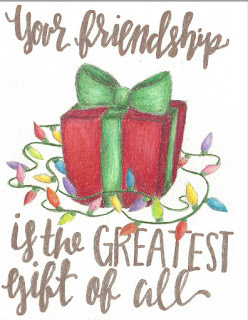 The next gift is decorated very similarly to the first one, but with this one I added words or phrases that go along with the holidays and painted them in watercolor on top of the brown paper. I alternated lines between red and green, but in the end the color didn't show up that vibrantly, since it was on dark paper, so I outlines the words in silver sharpie. Instead of doing watercolor, you're also free to just write the phrases in sharpie. And to finish off the gift, I wrapped this white ribbon with snowflakes on it around and then small gold string over it to add some layers. Twine also works great if you're interested in layering the ribbon. If you're not into the plain brown wrapping paper or just don't have any on hand, festive wrapping paper works great as well! Paper Source has a ton of adorable wrapping paper, but I used this wrapping paper with silver ornaments on it. When I'm using wrapping paper with a print on it, I'll usually just add some ribbon onto it and then add a gift tag on top. I actually saw this idea on Pinterest and the creator of it carried it out a lot better than I did, but you can always go with a parcel from the North pole theme. I printed out some vintage air mail stickers, you can buy them at a craft store or you can google vintage air mail stickers and just print them out like I did. I tied some thin ribbon around the gift and then added stamps and stickers onto the wrapping paper. If you're really going with the package theme, in "from" part on your gift tag, write "From: The North Pole." I bet that kids would love getting a gift like this, tell them that it's straight from the North Pole and they'll be so excited. If I was younger, I would love getting a package from the North Pole. When in doubt, accessorize! The key to successful gift wrapping is the accessories. Pull out the ribbon, stickers, and jingle bells, and use them to dress up your gifts. Remember that accessories can go a long way. Don't have time for pretty packaging? 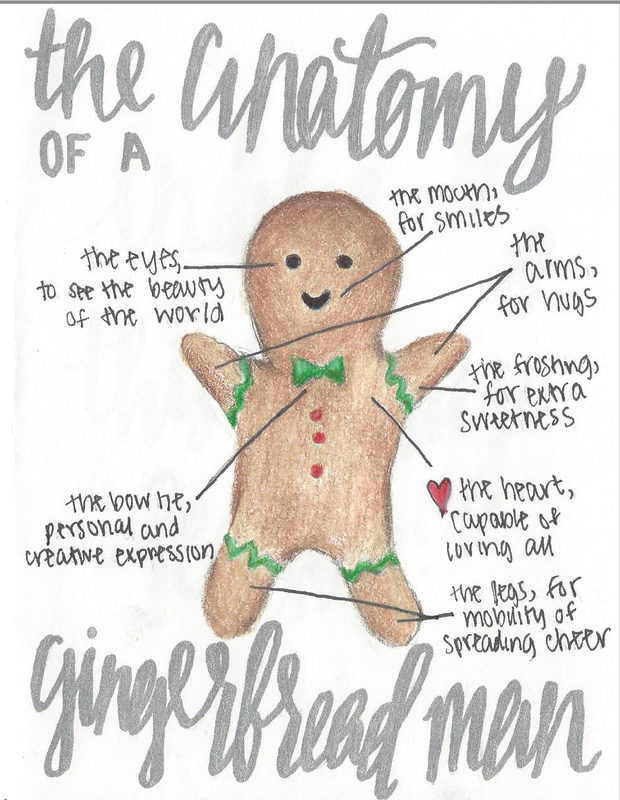 You can still make your friends and family swoon by giving them a gorgeous card! I usually make mine, which takes ages, but my friends always love receiving them from me. 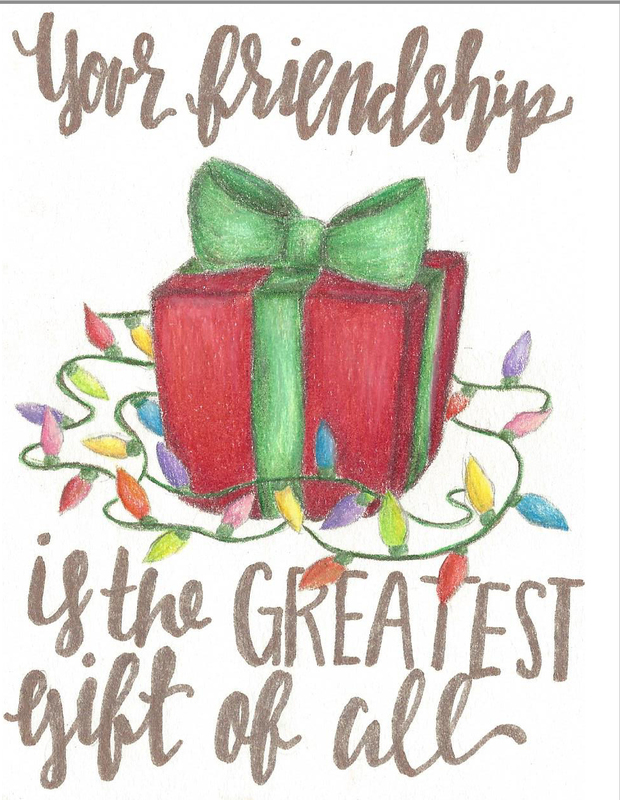 Instead of leaving you to go with a store bought card or struggling to make your own, I have you covered with some handmade printable holiday cards! 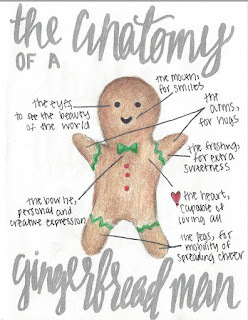 All you need to do is print them out, cut them out, fold them in half, and then write a little message on the inside! I hope that no matter what you're doing and wherever you are, you have an incredible Christmas. Sometimes we forget the true meaning of Christmas behind this newly commercialized Christmas and it's important to remember why we celebrate it and also take the time to catch up with friends and family. Happy Holidays! So cute! Love the gift wrapping and the cards! Thanks for linking up - have very merry Christmas! Thanks for hosting and have a spectacular Christmas! First of all LOVE this post and second of all you are an amazing photographer! Look forward to seeing the content as well as the images every time I read your posts! This deff gave me some ideas for wrapping gifts! Thank you so much Lexie! It means a lot to hear that you like the post and the photos! I love your ideas for decorating plaid brown wrapping paper!! Those Christmas cards are the prettiest!